Database Systems Corp. (DSC) has developed a complete line of automatic call processing phone systems and software. 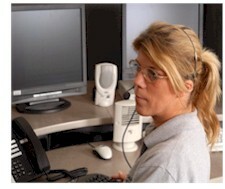 These solutions include emergency voice broadcast solutions and emergency notification phone services. Emergency broadcasting encompasses a broad spectrum of emergency communications techniques and the media required to contact groups and individuals when an extraordinary event occurs. This could be a disaster alert such as a flood warning or a major storm warning sent to an entire community. Likewise, the emergency broadcast can be delivered to a small group of individuals requiring an emergency school notification or alert. Emergency broadcast messages can be delivered quickly and efficiently using the latest voice broadcasting technology from DSC. Whether your organization needs to purchase an emergency phone system or utilize our voice broadcast service, you can rely on us to deliver your alert messages promptly and accurately. Contact DSC to learn more about emergency broadcast technology including our state-of-the-art phone systems and outsourcing services. Bayer Polymers has contracted with Database Systems Corp. and our 911 Broadcast division to utilize our emergency broadcast services as an employee alert service in case of an emergency. This service is also used for non-emergency purposes to remind employees of upcoming company events. Contact DSC to learn more about emergency school notification calling systems including our phone systems and outsourcing services. How Does Our Emergency Broadcasting Service Work? It is very important that your emergency warning message conveys accurate and timely information with minimum instructions. A 30 second phone message is considered the optimum length. If additional information needs to be conveyed, provide the call recipient with a touchphone option to select from a menu or simply provide a number to call to obtain further information. Playing a long message may confuse the call recipient and diminish the importance of the emergency. Also, the longer the phone message, the fewer calls can be made using a phone system with limited outbound lines. Emergency alert messages can be recorded offline and uploaded to our phone system using our online website. We also provide our emergency notification clients with a toll free phone number to call and record the message over the phone. The emergency message must be delivered to the right group or individuals at the appropriate time. In many cases, the message group has been pre-identified (members of a specfic geographic area, response groups, etc.). An emergency may dictate that the building of this list is based upon geographic or demographic considerations. Emergency call lists can be maintained on our phone system or call lists can be created from a master list of community residents by the administrator. Once the message has been created and the list of recipients identified, the emergency voice broadcast can be initiated. Our emergency broadcast process can be initiated over the internet using a secure administrative process. Likewise, emergency messages can be initiated over the phone or by using our emergency XML messaging technology. CARE®, Call Reassurance® and Emergency-Broadcasting.com are Trademarked by Database Systems Corp.